The Human Rights Day is celebrated on 10 December and is the day of the Universal Declaration of Human Rights, adopted on 10 December 1948 by the United Nations General Assembly. On 10 December 1984, the Convention against Torture and Other Cruel, Inhuman or Degrading Treatment or Punishment was concluded in New York. 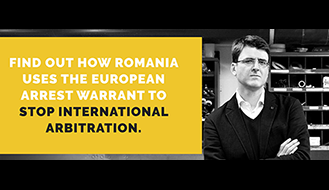 Romania has enshrined the agreement in Law No 80 of 30 September 1994. → (LEGEA No. 80 din 30 septembrie 1994 privind ratificarea Conventiei europene pentru prevenirea torturii si a pedepselor sau tratamentelor inumane sau degradante, precum si a protocoalelor nr. 1 si 2 la conventie). The Romanian state had until the day of human rights on 10.12.2017 – 8442 days to ensure that institutions and citizens implement this law. Implement! Not just on paper like various other agreements / conventions / framework decisions, but also to practice real. On 08.12.2017 one of the Romanian propaganda TV stations of the Corrupt EU state reported with the title: “OFFICIAL: ROMANIA PRACTICES TORTURE” !!! However, even if the own TV stations in the dictatorial state, with such meaningful headlines “advertises for their country”, it may finally be reasonable to think about whether to introduce timely sanctions against the Romanian state and also IMPLEMENT them. The EU had taken up the Eastern European country in 2007, although not all requirements for reforming the judiciary and combating crime and corruption had been reached. 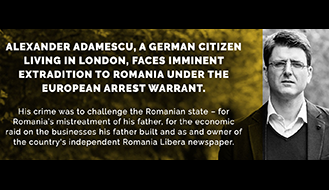 The fact that Romania still has to be overseen by the European Commission in Brussels ten years after joining the EU regarding the establishment of a constitutional state or the fight against corruption and organized crime was unlikely to be dreamed up in 2007. 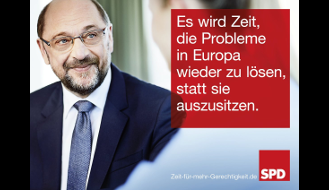 An interesting media report by the MITTELDEUTSCHER RUNDFUNK – Television Radio Mediathek, has published an informative report in German language, which we linked to → here.